The outgoing president of the University and College Union (UCU) has slammed ignorance among politicians towards FE, in her speech to conference. 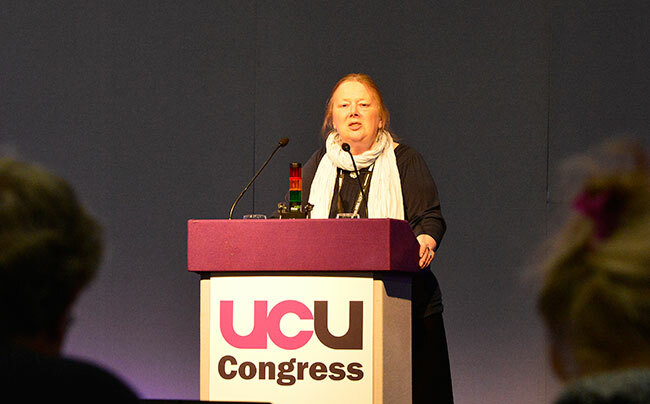 Elizabeth Lawrence addressed delegates at the start of the union’s annual conference at the ACC Liverpool this morning. She spoke of a need to spring to the “defence of FE” – which she felt was being undermined by meddling politicians who do not understand the sector. Ms Lawrence said: “Too many politicians know too little about the world of FE. She added many university students accessed university “through the FE route” — which was an important means of bolstering social inclusion. “Not all young people succeed first time at school, and many people need to access FE at various stages of the life cycle,” said Ms Lawrence, in her last address to conference as president. She also raised concern about “the threat to academic freedom in the government’s [anti-terrorism] Prevent agenda”. “More needs to be done to help universities and colleges understand their duties of safeguarding students and of defending academic freedom,” added Ms Lawrence. It comes after FE Week reported in September that a survey of Association of Teachers and Lecturers (ATL) members, working in English FE colleges, indicated that 45 per cent of those questioned had not had any Prevent training in how to stop students being drawn into terrorism. Delegates are set to vote on 35 FE-related motions during the three-day conference— covering a wide range of issues including Prevent, members’ pay, area reviews, and “unprecedented” funding cuts. FE Week editor Nick Linford will also be on a panel discussing what colleges can do to increase their market share of apprenticeship provision. This comes after Skills Minister Nick Boles criticised colleges — in November, at the Association of Colleges (AoC) conference — for being slow to adjust to the extra funding being made available for apprenticeships. 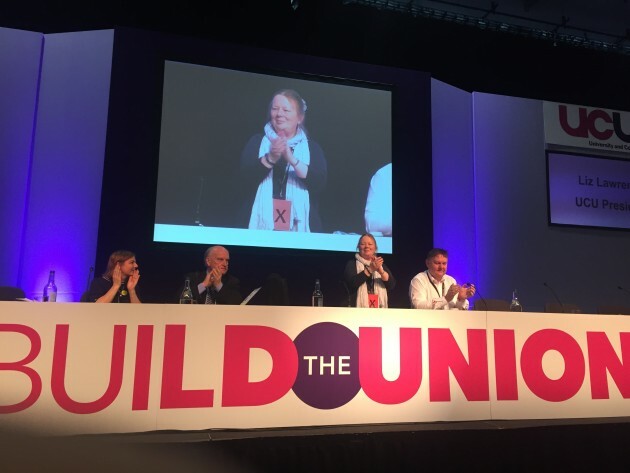 The main day dedicated to FE will be tomorrow (Thursday) — but ahead of that UCU general secretary Sally Hunt will reflect, during her speech to conference this afternoon, on the tough financial climate facing the sector.